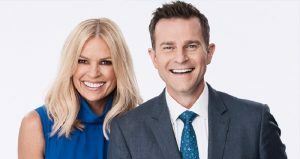 Sonia Kruger will join returning host David Campbell on stage at the Sidney Myer Music Bowl on Christmas Eve to host the 80th Vision Australia Carols By Candlelight presented by Priceline. The Today Extra hosts will be joined by a star-studded lineup of artists gracing the stage on Christmas Eve to perform Australia’s favourite Christmas carols. Returning Carols favourites who will delight the audience include Anthony Callea, Tim Campbell, Marina Prior, Silvie Paladino, David Hobson and Denis Walter. “Watching Vision Australia’s Carols By Candlelight on Christmas Eve has always been a tradition for me and now to be part of it is the cherry on the Christmas pudding,” Kruger said. Carols by Candlelight is Vision Australia’s biggest fundraiser, with 100 per cent of profits from ticket sales going towards services for children who are blind or have low vision. In 2016, thanks to the support of the Australian public, over $1.2 million was raised.